At the height of the Egyptian revolution, Bassem Youssef, a Cairo surgeon, regularly posted satirical YouTube videos, which he shot in a laundry room when he was off duty. When Egypt’s longtime dictator, Hosni Mubarak, was forced to resign, Youssef, buoyed by the new media openness made the leap to late night television. In 2012, Egyptians elected Mohammed Morsi – in the country’s first free and fair presidential elections. Youssef’s show, Al Bernameg, thrived during Morsi’s short lived one-year term. Soon he was being compared with Jon Stewart, though Yousef commanded three times the audience of Stewart. He was one of the most famous comedians in the world and central figure in the Egyptian media. By 2013, Morsi was overthrown by Egypt’s military, leading to the rise of General Abdel Fattah el-Sisi. Though Morsi’s government once sued Youssef for mocking the president, the generals had no sense of humor and were less forgiving. 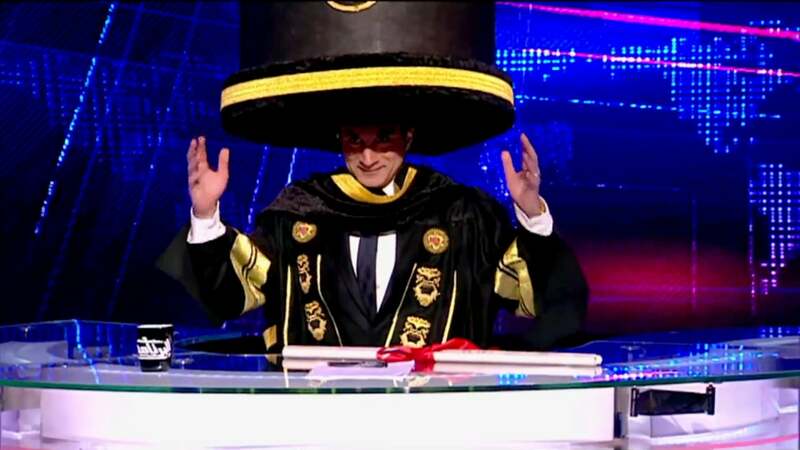 By 2014, pressure on the television channel led to Youssef’s show being shut down. He is now the United States, giving speeches about press freedom and working on a new show. The short rise and fall of Al Bernameg, is now the subject of a documentary film, Tickling Giants, by director Sara Taksler. We get to see a close-up, first person account of how the revolution unfolded, the show’s three-season run neatly coinciding with major political changes, from the euphoria and optimism of 2011, to the reign of Morsi and rise of el-Sisi. Youssef floats atop events as they play out in the streets of Cairo. Taksler rides along with Youssef and his cast of supporting characters – writers, cartoonists and comedians – as they rise to global fame. The film shines during the Al Bernameg’s troubled third season, as the Supreme Council of the Armed Forces (SCAF), led by el-Sisi, comes to power and the show becomes another arena for political contestation amidst hyperpolarization in the wake of Morsi’s ouster. Threats to critical voices by the Egyptian state are a looming presence throughout the film, whether it is controlled by the Muslim Brotherhood or the resurgent generals, but it is ultimately the audience that turns against Youssef’s stinging critical satire during the third season of his show. While the documentary focuses on the revolution and the role that satire can play in a changing society, its exploration of el-Sisi’s rise and how the creators and writers of the show react to it that is most compelling, offering a fresh insight into the tragedy and disillusionment of the post-Morsi era. Youssef and company are caught off guard by how quickly the mass of people appear to abandon the ideals of the revolution in favor of the false promise of stability offered by SCAF, from being enthralled by the possibilities opened by the uncertainty of the revolution to embracing the poisonous discourse of establishment, replete with conspiracy theories about foreign plots. This is a narrative that has become very appealing in recent years, as the victories of the revolution are continuously reversed. In the space of a television season, Youssef goes from the voice of the people to a dupe in the eyes of much of his audience. The film, through Youssef’s narration, excellently exposes the way the narrative of the counter-revolution shaped events, and rendered the very idea of change undesirable to a weary and uncertain public. As el-Sisi set about crushing the vestiges of the revolution, Youssef’s satire and relentless critique of authority quickly go out of fashion; people no longer want their ideas prodded, even in a humorous way, preferring to believe the official story as long as it means a return to normalcy in their everyday lives. *The film is currently available on Netflix in a number of Middle Eastern, European, Australasian, and African countries. It will be available in the US on Amazon and iTunes in June 2017.